SM Aura is home to interesting food concepts and unique dining ideas making it a wonderland for food connoisseurs or plain lovers like CS and myself. 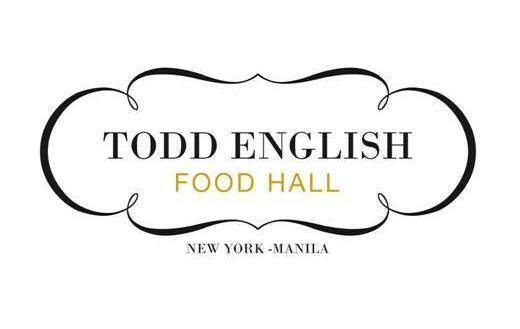 One particular place I've been longing to try is Todd English, an upscale food hall with several food stations arranged like open kitchens. I know I'm way too late to the party but with the worsening traffic around Manila, venturing out of my comfort zone is a decision that requires tons of planning. To evade the weekday jam, we went on a Sunday to watch 13 Hours: The Secret Soldiers of Benghazi, which was awesome from the beginning to the end by the way, and so I can finally try the much-talked about Todd English. I love that Todd English does not scrimp on ingredients but there are some things that should be taken in moderation or even less. Such was the case of the flat bread we ordered that had so much sweet fig, we can barely taste the prosciutto and cheese. CS and I had to remove more than half of it to suit our taste and yet, a couple of slices were left untouched on the table. A safe bet that one can barely go wrong, Todd English's version of spaghetti meatball took a leap higher with its tasty meat and delicious sauce with the right proportion of sweet and sour taste. I have yet to try their signature OMG dessert -- a combination of lava cake, silky pudding, cereal crumble and chocolate gelato (hello sugar high! ), which we had to pass after our churros overload from Churreria La Lola before the movie, so I guess a revisit is a MUST!